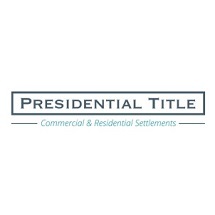 Presidential Title, a subsidiary of Paley Rothman that provides the full range of commercial and residential real estate settlement and title services, was included in a recent Washington Business Journal ranking of the D.C. area’s Top Title Companies. Under the direction of real estate attorney Daniel Hodin, Presidential Title conducted close to 400 closings in 2012, and became the only title company in Bethesda, Md. to earn a spot on the WBJ list.